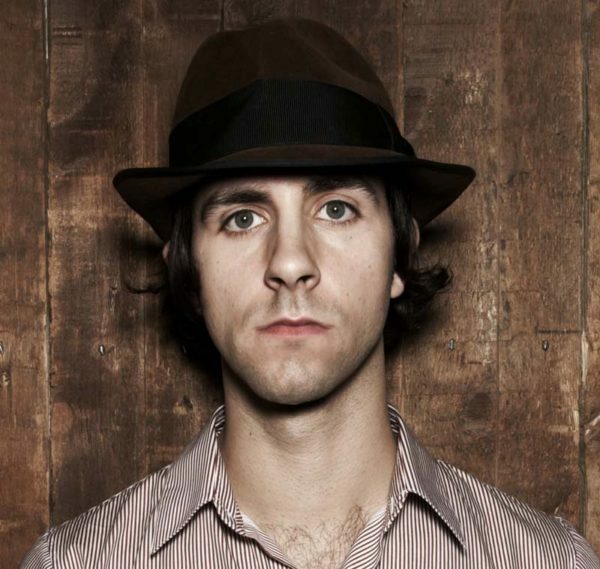 My introduction to Maximo Park was an unusual one. 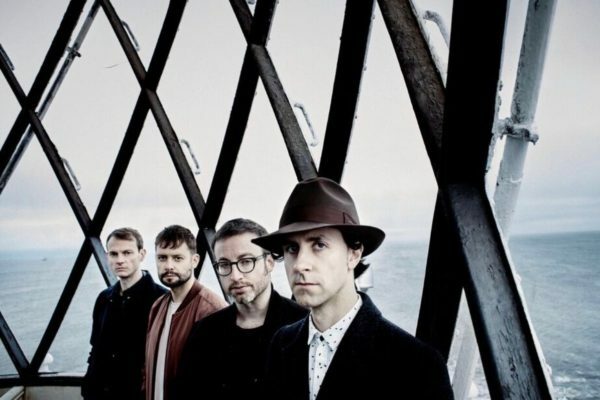 I was – and am – a big Natalie Imbruglia fan and there was an mp3 of this new band called Maximo Park covering her song “Shiver” on one of the fan sites. I almost didn’t download it because I knew it would bother me if they’d done a poor job. But, yes, I decided to check it out and I was very impressed. I’m listening to it now as I write this introduction and I still enjoy it. To my ears, it sounds a bit like The Cure doing Natalie Imbruglia. It reminded me a bit of Green Day, too, largely because of the way frontman Paul Smith sang the verses. I was so sold on it that I ordered the band’s first album, A Certain Trigger, from Amazon UK that same day. And I’ve been a fan ever since. I love the band’s mix of alternative rock and pop. There are a lot of bands that attempt to do both and it just comes out sounding like a trainwreck. That’s not something you could ever say about Maximo Park, who’ve also indulged in punk rock and melodic rock over the years. On their new album, Risk to Exist, they’re at the top of their game. I honestly feel like it’s their best album to date. On one hand, their pop hooks have never shined brighter. On the other, they address some heavy topics with the lyrics. Not in a preachy way, just in that manner where you can figure out what they’re singing about if you really stop and think about it, but if you don’t analyze it like that then it just comes across as an alternative pop album. A brilliant alternative pop album. Needless to say, I jumped at the opportunity to interview frontman Paul Smith and I’m happy to deliver it to you today. MM: The band co-produced Risk to Exist with Tom Schick. Had you worked with him previously? PS: No. It was the first time. We had a few different options in mind in terms of what the record might sound like. One of the options we thought of was to record live. To rehearse the songs up to studio quality then just go in and play. We heard that that’s the way he did things with Wilco and other people who he’d worked with. I think he worked with Parquet Courts on their latest record and he engineered a lot of great records by Low and Mavis Staples, also in the same studio in Chicago with Jeff Tweedy producing. So, we kind of knew what he was capable of and asked the question then he said, “Yeah, I’ll do it. Would you like to come to The Loft in Chicago?” and it turns out he’s moved there from New York and that’s his base now and he records a lot of bands in there. MM: So, you actually recorded the album live in studio? PS: Pretty much. I re-did the vocals and we had a few bits and bobs extra, but pretty much. The first song on the record is the first take of the first song we recorded. We started recording 45 minutes after arriving at the studio, which shocked me. As the singer, I’m used to waiting around while somebody gets the drum sound right for a few days, and then the guitar sound, and then you might do a few takes and kind of get the rhythm section down, but we were actually just listening to stuff straightaway and that, in particular, was the take that felt right and it felt pretty fresh. It’s definitely the first time we’ve done anything quite like that. Our songs respond to having a kind of live feel on the recordings. They’re still layered up, mostly, whereas this – while it has layers – it’s the band playing in a room. I’m amazed at some of the takes myself, just how tight the band were. Again, as the singer I’m quite free to listen along. I’m not concentrating on my instrument and I know because of the bleed and stuff I’ll probably end up recording my vocals again. But I was listening back and I was thinking, blimey, that’s our band. MM: Did you road test any of the new songs before making the album or do you just worry about how the songs will sound live later? PS: Well, we road tested the title track and the lead single, “Risk to Exist.” We played that at a few festivals last year and it was feeling good to us. People were responding to it live as well, which is always a good sign. Of course, when you’re first starting out you road test everything and it’s all out there when you go into record [and], usually, if you’re a band you’ve probably played the songs live numerous times, and that’s often how people make their first record. We were trying to get a bit of that. Unfortunately, having five records out and being relatively well known in the UK, for example, if you go out and play it you know that it’s gonna end up on Youtube in extremely bad quality. You think to yourself, it’s cool to play these songs live in the moment and people then buy the record later or whatever. But this whole idea of a lot of people’s first taste of the song being a very bad quality – either an mp3 or a video on their mobile phone, it feels wrong and not the right way to get out there. So, yeah, we had one song out there doing the rounds in that capacity in terms of “Risk to Exist.” I mean, we played them a lot in the studio so we were pretty confident that we were gonna go in and give a good performance but, of course, you never know until you get there, and how you’re gonna work with Tom and the kind of chemistry that’s going on. But it all seemed to work out. MM: Yeah, I certainly think so. So, from when to when was the album written? PS: Good question. Because there was a longer gestation period because I went off and did a solo record and went on tour in 2015. We also did a few 10th anniversary shows and even thought we didn’t do many we wanted to do something to give ourselves a very small pat on the back. PS: [Laughs] Thank you. In the fickle world of pop and rock ‘n’ roll bands, if the record companies don’t drop you a lot of people end up at each other’s throats and we weren’t. We just made a record that we loved and we played all sorts of songs from across our records from that point and our first album in full. So, that was fun. But you also want to make them great. So, we ended up rehearsing quite a lot, just to make sure those shows were good. The process of this record, I would say we wrote and recorded it as quick as we’ve ever done anything. But, as I said, these other things got in the way. In 2015 we started coming up with song ideas and I went off to Berlin. I was lucky enough [that] a friend of mine has a little rehearsal room in Hansa Studios in Berlin where Bowie recorded a lot of his classic Berlin albums. So, I came back from this five days of just being immersed in the songs and doing demos, and having a mic and a guitar and stuff, and coming up with ideas. I came back with “I’ll Be Around” off the record. A few of the other ones were kind of punkier, I suppose, and quite similar to things we’d done in the past. On reflection, when I got back and we discussed where we might go with this record, with the sort of punky ones we thought, we’ve done that relatively recently, let’s try these more spacious, groovy numbers and “I’ll Be Around” had words in like “government” and “system,” signifiers to what the record is about. The song itself is kind of a universal thing. I’ll be around and don’t think that I won’t. A very simple thing that hopefully anybody could get into. These are the subtexts within the songs. So, yeah, that was the direction we ended up choosing. Then I went off to do my own record and then I came back and we did a few 10th anniversary things so we actually got to Chicago mid-September last year. We stayed there for three weeks and we came back. It actually took us longer to mix the record than to record it. Because we’d come back home and we were doing it all remotely again because we all live in different towns, apart from me and Duncan still based in Newcastle where our studio and rehearsal room is. So, we finished it just before Christmas. I would say for us we usually spend four or five weeks in a studio doing everything so it’s pretty quick for us. MM: How does the writing process usually work? Does Duncan do all the music then you do the lyrics or is it kind of split – how’s the magic happen? PS: Well, we’re pretty democratic. If somebody’s got an idea, we’ll share it and see what happens. If I’ve written a song, great, we’ll try it out. Duncan will start doing something on guitar that I would’ve never had thought of. But on this record in particular I think it’s often the bulk of it being myself coming up with lyrics and a melody for Duncan’s music. Lucas chips in with two songs on this record. I’m sure all of the songs that I’ve been writing will end up out on solo records in the future now that I do that on a fairly regular basis. Even though [Duncan and I] are in the same cities we’ve got our families and we E-mail each other ideas and then sometimes get together and play them through with the band and the band help to arrange the songs. So Tom, our drummer, could also have a key role to play. Especially on this album, the grooves are really important. We’ve also got our friend Paul Rafferty who’s not a full-time member of the band but he’s been playing bass with us live for the last few years now. So, it’s the first record where he plays the bass all the way through. And he is a great musician, very dextrous. We knew if we wrote a kind of funky song like “What Equals Love,” or the first track, “What Did We Do To You To Deserve This,” we knew we had a rhythm section that was suited to that. Whereas Archis, our original bass player, who retired and got a bit sick of touring and that kind of thing, he’s quite a melodic bass player. It just, stylistically, was different and so little changes like that – even though it’s incremental and it happened over the last few years – I think on this record you can hear a bit of that. Yeah, we all contribute to the songs. I think that also helps when you’re out on the road and you’re playing it for the 100th time you think, well, this is my song, too, in a small or large way. It bonds us all together, I suppose, even though often it’s myself and Dunc that are the main writers. We’re all invested in it. MM: Now when you sit down to write do you usually start with a title, or a lyric, or does the melody come to you first? PS: It’s different every time. Duncan is always working on stuff. He’s got melodies coming out of his ears and coming out of his hands via the fret board. So, there’s always something on the go. I, myself, let’s take Risk to Exist for example, there was something in my notebook that said it’s a risk to exist. And I’d also been reading lots of newspaper articles about what was going on in terms of the refugee crisis that’s going on with people coming from the Middle East into Europe and from Africa. Different places where there are people fleeing for their lives. And there was a program on TV, just on the news, where there were lots of politicians from our government saying we shouldn’t actually go and save these people because it’s gonna encourage them to come. Which I thought was a very callous way of looking at it. These people are not gonna stop coming because of that. The only reason they’re on these crazy boats that aren’t even boats – these rafts – trying to get 250 miles is because they’re desperate. They’ve given their life’s savings to somebody who’s ripping them off. It’s not incentivising to go and save them. It’s a humanitarian crisis that needs dealing with. That made me pretty angry. There’s a way of approaching a song where you try not to talk down to people about what it’s about. You try not to make it too complex either because it’s still a pop song. It still has needs for us and our band. It still needs to have that universal quality where the main thing that comes across is hopefully about life being fragile, more than the issue itself. If people want to reflect on it, they can analyze it and get more out of it. PS (CONT’D): So, there’s lots of different sources for these songs. Especially, as you get older, a lot of our records were about, I suppose, more romantic things. [You’re] pretty self-obsessed as a youngster. [Both laugh] And that’s the way it should be. I like lots of different songs and when I was young I used to appreciate songs by older people. I loved a Blue Nile song about family life, which was about being apart from your family at Christmas. Obviously, I had no conception of that in real terms, but I was moved because it was a great piece of music. The lyrics were spot on. And so, as we’ve got older, you try to look for different sources for the material. But in the end it has to come through my own gaze because, otherwise, it’s just generalizations. I talk about having a universal quality, but that universal quality still has to come through a personal prism. There’s gotta be something of yourself that you leave in the songs. MM: I saw on Facebook that you’re doing a UK tour in May. Do you have any plans to tour otherwise? PS: We do. We have plans and it would be lovely to come back to America where we recorded the record. We’ve got Mimi Parker on the record from the band Low, and we’ve got a horn section on there, and it feels like the album is quite rooted, sound-wise, in the place we recorded it in. And I’d like to come back and play it to people from Chicago and beyond. Also, it seems as well, when we were talking in the studio to Max Crawford, who did the horn arrangements, he said these songs seem to be about Trump and what’s going on in the U.S. at the moment, that swing towards the right. I think he also said, these songs are important to me because of that and they’re really relevant. I’m sure the opinion will be divided about the topics of the songs because they’re quite divisive issues in some ways. But, on the other hand, the relevancy of some extends outwards from our part of the North East of England. So, I’d love to go and come back to America if people want us to. We’ll hopefully be out in the rest of Europe as well. After the festival season has ceased. MM: I know you guys play some pretty big festivals and have done so for years now. What are some of the bigger ones that you’ve headlined? PS: We’ve headlined a few like we’ve headlined the second stages of Reading and Leeds. We’ve headlined a few German festivals out in the further, fun parts up in the North of Germany near Berlin, Haldern Pop, for example. We played there and The National were playing there as well. We tend to headline smaller festivals and then the bigger ones we end up doing the second stages and headlining those. But we’ve headlined quite a few different stages at T in the Park up in Scotland as well. That’s another one that keeps having us back. We headlined our own kind of mini-festival in Newcastle last year, which was, I think, 3000 people outdoors. Not a massive festival, but it meant a lot to us to be outside in the city center and we managed to pick a few bands. Like we picked a band called Lush who are on 4AD Records and just reformed and a band called Fear of Men, who we really like, and our friends Warm Digits, who’ve got an album coming out on Memphis Industries. That was probably one of our highlights of our summer last year. I think it was the highlight for me. MM: If you were to headline clubs in the U.S. who – in a perfect world – would you like to have open for you? PS: [Laughs] That’s tough because a lot of bands I love in America are probably too big to open for us. A band that I mentioned earlier, Parquet Courts. Their energy – and the words are important in that band, which means a lot to mean. I love it when there’s something else to chew on. There’s lots of bands I like where the lyrics are kind of secondary. But with that band it feels like the words are part of the prime reason for the band existing. We could maybe do a co-headline tour. MM: I understand you wrote a 26 minute a cappela piece. What can you tell us about that? MM: Will that ever be released? PS: I hope so. I was thinking about it the other day because we’ve got a little bit of time before the festivals and I’m always thinking, what can I do while the band are doing other things? And I’d love to get in touch with them and try and look for a physical release. It’s quite short so I’d have to think of what format it could go on. It’s meant to be continuous so maybe I could do a one-sided release and maybe do an etching on the other side or something. MM: That would be really cool. PS: I definitely want to do something with it. I’m proud of it. Because it was such a niche audience, I’d like to extend that audience if I possibly can. MM: Name three artists from your parents record collection who you actually liked? PS: [Laughs] Well, the long answer, a lot of my Dad’s stuff I was not so keen on. He had a Carpenters record – I’ve actually come to appreciate a lot more – and the ones that really spoke to me were from my Mum’s side of the collection. 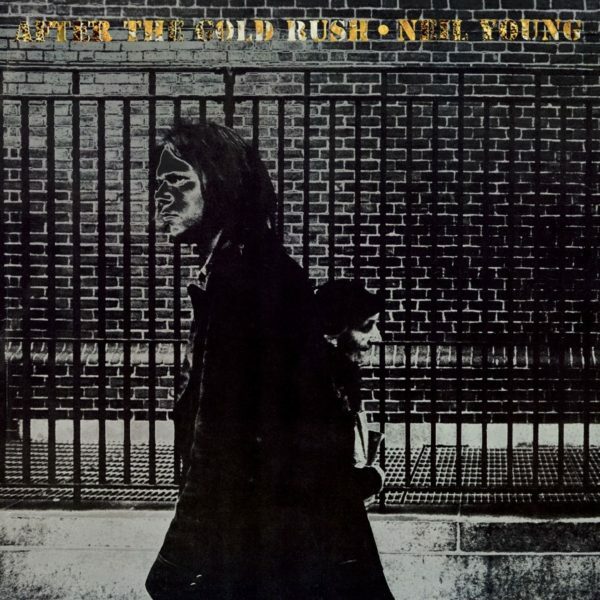 Neil Young: After the Goldrush with its gatefold sleeve where he’s lying on a couch and there’s guitar cases in the background. And he’s got all the lyrics on a photocopied sheet. [And] Led Zeppelin: 2, I think it is. I used to listen to that over and over again. Is that the one with “Ramble On”? PS: If it is, I think it’s Led Zeppelin: 2. I used to listen to that over and over again. That’s got “The Lemon Song” on and as a youth I was confused by all the groaning going on. A great record and something that’s total, formative influenced [me]. And Ram. She had Ram by Paul McCartney. As a kid, I was loving the little diddy’s side of it and as an adult I appreciate the other stuff. The diddy aspect has become more annoying. [Laughs] It’s still a good record, that’s for sure. MM: What was the first album you ever bought with your own money? 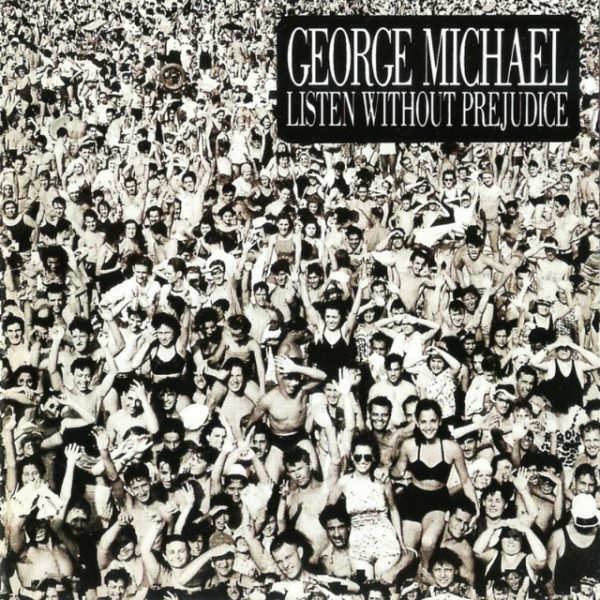 PS: Let me think about that because I remember I got George Michael’s Listen Without Prejudice Volume One as my first CD as my first album. I remember my first single was “Do the Bartman” by Bart Simpson. Which is not something I admit every day. I would often ask my Mum to get me stuff for Christmas and birthdays. I guess I was 12 or whatever. I do remember going on the bus to Middlesbrough, the closest bigger town to me, and my Mum let me – I was ill from school – she said right let’s go out, I’ve gotta get some shopping. I remember buying Pearl Jam’s 10 with my own money, the European edition with three extra tracks on it. Again, I absolutely loved that when I was a kid. You’d listen to it over and over again, as you do, because you don’t really have many CDs or records. And the first one I remember buying from a record fair, which was just at my local school with people selling out all their old junk, was Talking Heads, the live album – what’s it called again? PS: But, anyway, I remember I had to play it on my Mum and Dad’s record player because I didn’t have a record player, but it was a cool sleeve and I really loved the song “Psycho Killer” and when I got home I realized it was the live version and I was really annoyed. I actually think it’s really good though, actually, as it happens. MM: Last question. If you could resurrect any one musician from the dead, who would you bring back and why? PS: Oh, that’s a tough one. There are so many people who I love who are dead. Like Nick Drake, for example. I’d probably pick Nina Simone. I would love to have seen Nina Simone play live. MM: Yeah, that’s a good one. PS: Pretty interesting character. And, again, if you resurrected her at her prime she would definitely have something to say about what’s going on in the world right now. Paul Smith is a smart man.